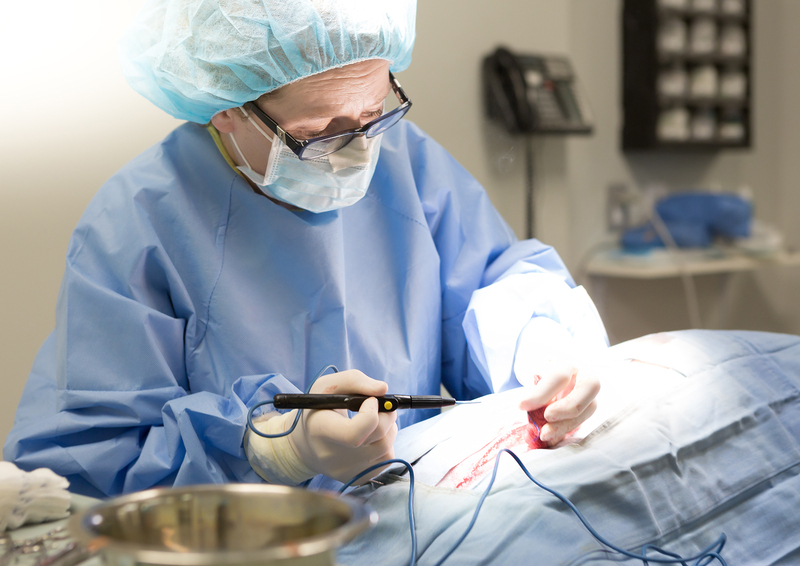 We understand that surgery is never an easy experience for you and your pet. This is all the more true when it is required to treat an emergency illness or injury. Often, the decision to proceed must be made quickly and in trying circumstances. 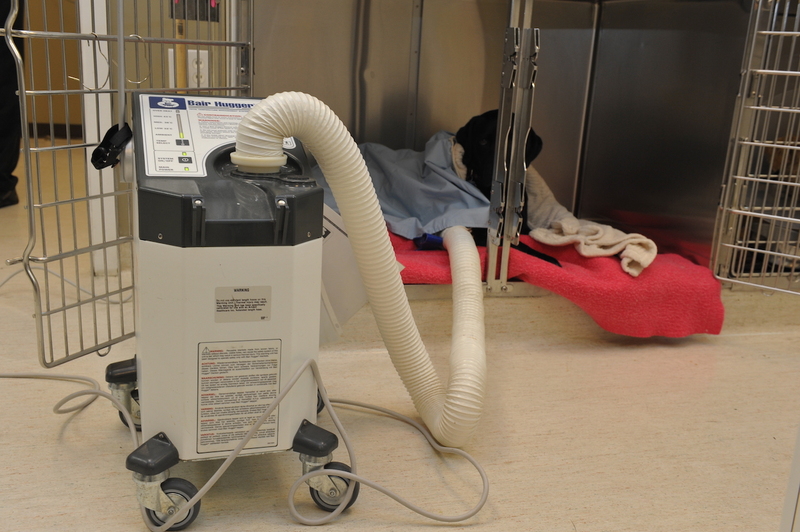 For this reason, AECFV strives to provide our clients with a clear understanding of why a particular procedure is necessary, what the procedure entails, proper post-operative care, and convey any other information you may need in order to feel comfortable that you are making the right choice for your pet. Our highly trained veterinarians and experienced veterinary technicians have the skills to ensure the best outcome for your pet. In all cases we will provide you with all of your options so you can be better prepared to make an informed decision as to how to proceed. 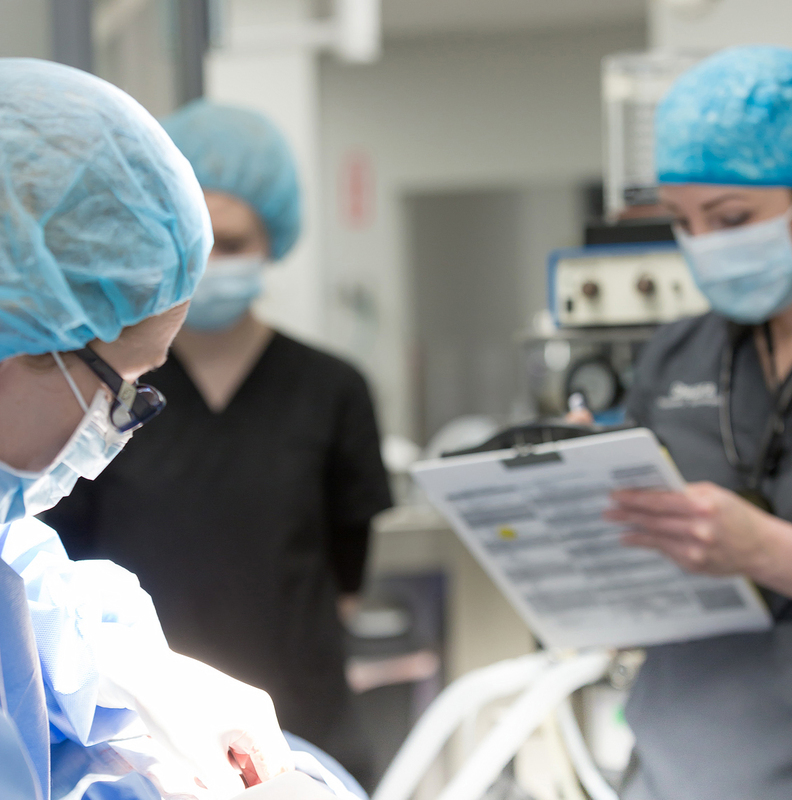 Of the many surgeries our ER doctors perform, the most common are exploratory, foreign body removals and caesarean sections. To date we have performed over 400 c-sections. Anesthesia and cardiovascular monitoring are important, integral aspects of every surgery we perform. For this reason, your pet has access to some of the best and most advanced anesthetic administration and cardiovascular monitoring equipment and protocols available. 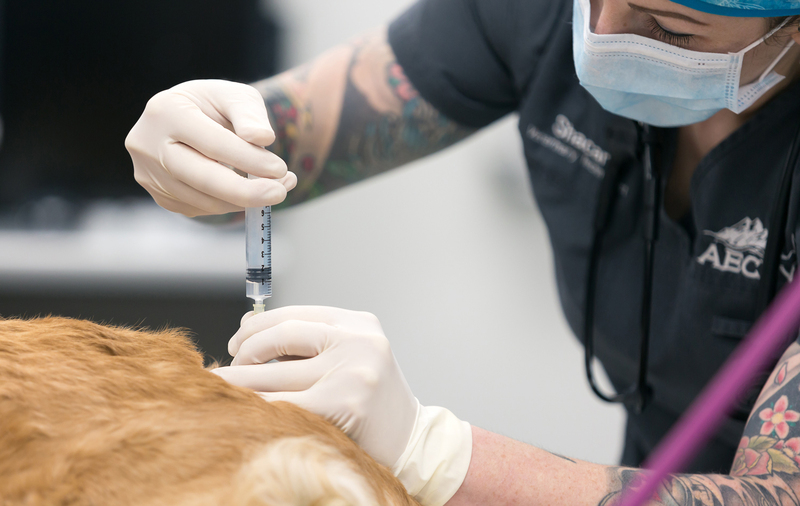 Anesthesia is individualized for your pet based on a number of factors, which include the type of procedure, his or her preexisting conditions, blood test values, age, breed, and prior anesthetic experience. During anesthesia and surgery, your pet is constantly monitored by a trained veterinary technician, using our advanced monitoring system. This system continuously monitors your pet’s arterial oxygen level, blood pressure, heart rate, respiratory rate, and core body temperature. AECFV believes that identifying and relieving pain is important to the recovery and humane treatment of your pet. Therefore, pain management is an important aspect of our intra- and post-surgical protocols. AECFV utilizes the latest pain management medicines and tools such as continuous rate infusion for medications and IV fluids, epidurals, regional blocks, as well as oral and injectable medicines. Given our range of medications and methods, we are also able to tailor a pain management protocol to your pet and its specific condition and level of pain. At discharge, we may also send additional pain management medication home with you and your pet after providing a thorough explanation of its proper use and dosage. It is our goal to take a proactive and comprehensive approach to pain management in order to keep your pet as comfortable as possible. As your pet recovers from his or her surgery they will be monitored by our medical team. Unlike most hospitals, we are fully staffed 24/7. So what that means is your pet will be monitored after surgery by a doctor, an animal health technician and a veterinary assistant. We provide warming therapy, continued pain management, regular vital sign checks and of course ensure that the animals are recovering as expected. When your pet is ready to be discharged from our hospital, we will provide you with detailed information on how to properly care for your pet at home after surgery or any other procedures. We are also happy to answer any questions or concerns that may arise once you get your pet home. Because we are here 24/7, please never hesitate to call us with any concerns.